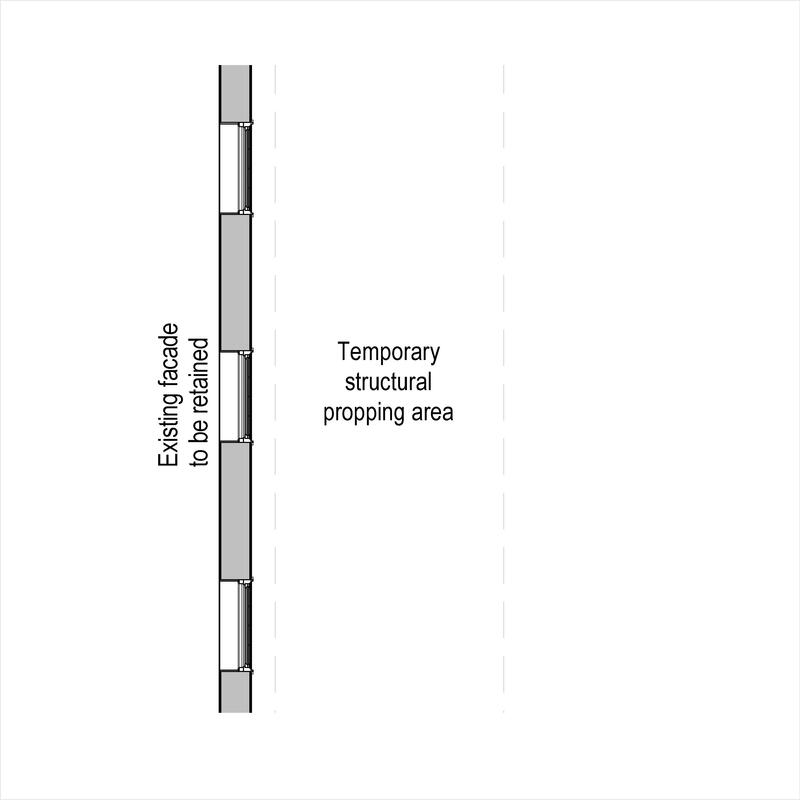 A framed retention structure system typically comprises of items such as foundations, connection to facade and connection to existing supporting walls. Complete this electronic spreadsheet to ensure that your Framed retention structure systems product information meets the requirements of Level 2 BIM. This is important as it will enable your customers to select, specify and use your products within the BIM environment. Once you have completed this template you can host it on your own website or distribute it to your customers. Please note that we do not host completed product data templates within the BIM Toolkit. 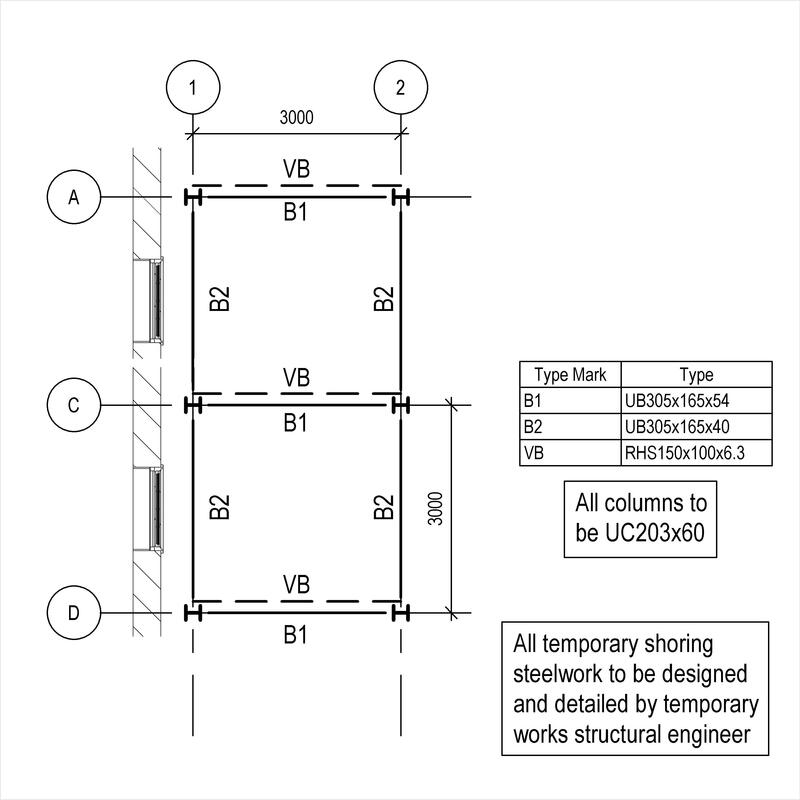 The above illustration is for Framed retention structure systems from the NBS section Shoring and facade retention systems. This is indicative of the LOD requirements for Framed retention structure systems. 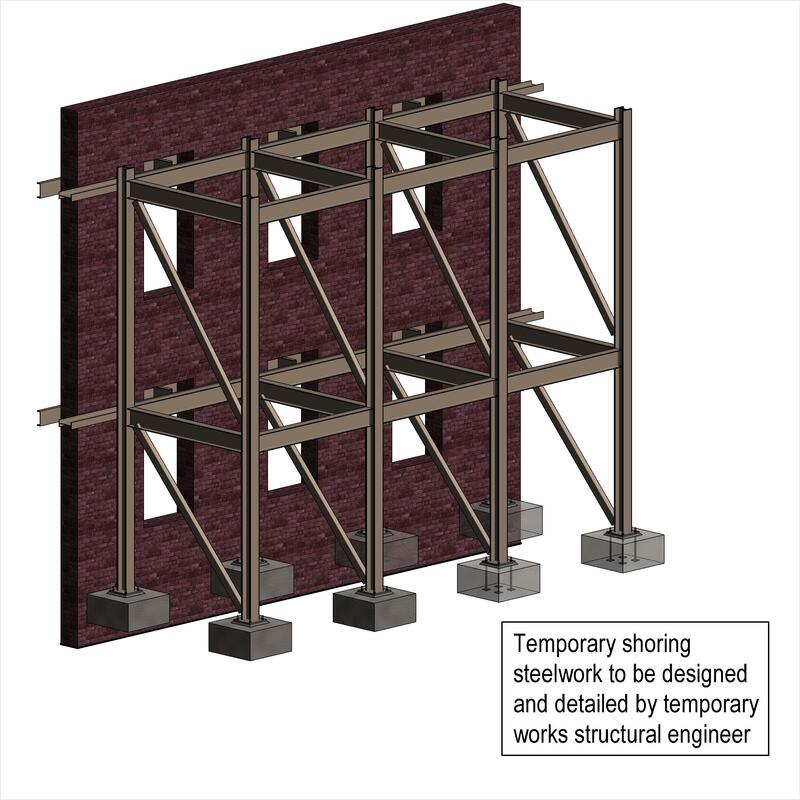 The above illustrations are for Framed retention structure systems from the NBS section Shoring and facade retention systems. This is indicative of the LOD requirements for Framed retention structure systems. Design of shoring or retention structure Standard, Applied loads - definitions and Design stability loads (characteristic loads). 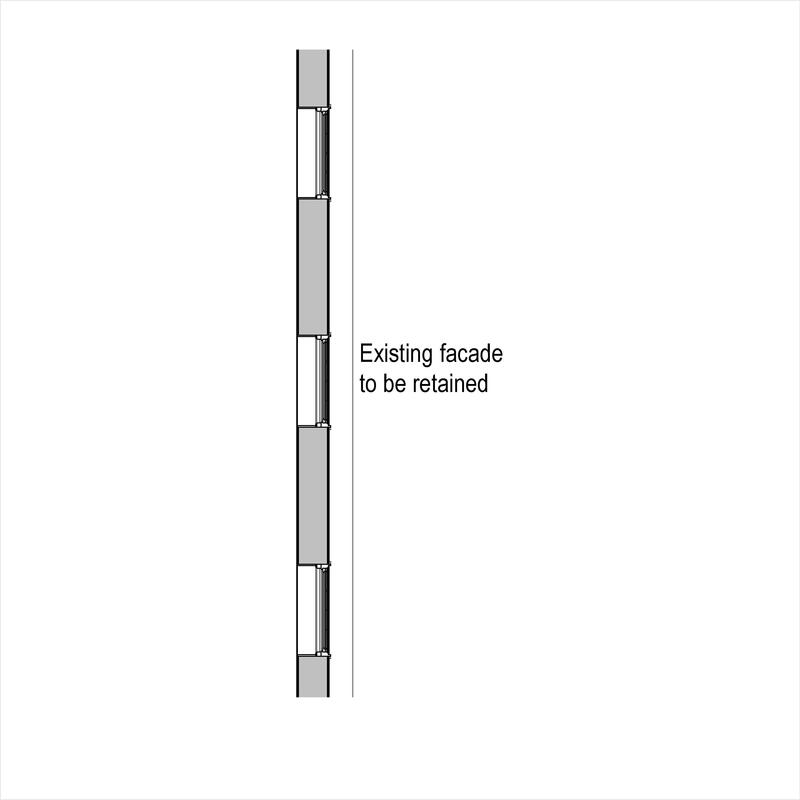 Design of connections between facade and shoring or retention structure Requirements, Connection loads- definitions and Design load on connection (characteristic loads). 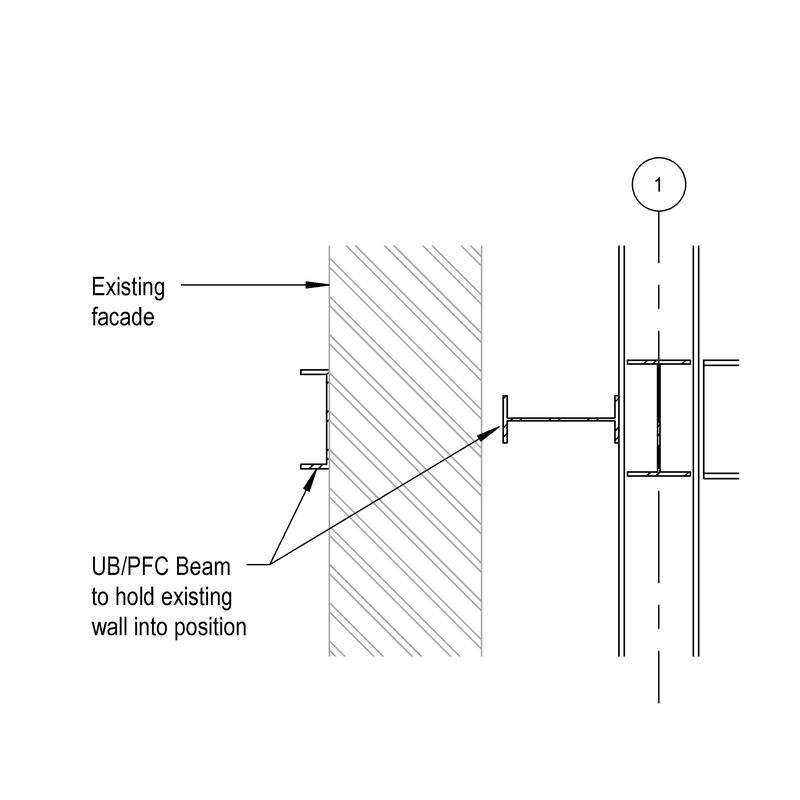 Design parameters for retention or shoring structure Design parameters. Permanent and imposed loading Standard. Earth retaining loads Standard, Retained height and Loading. Thermal movements Thermal range and Predicted movements. Accidental loading Standard, Source of loading and Vehicle impact loading (minimum)..
Wind loading Standard, Design criteria and Special requirements..
System manufacturer The System manufacturer of the Framed retention structure systems. Foundations - At facade end of retention structure Products such as Concrete kentledge blocks. Foundations - At outer end of retention structure Products such as Concrete kentledge blocks. Connection to facade Products such as Socket anchors. Connection to existing supporting walls Products such as Socket anchors. Wall capping Products such as Designated concrete. 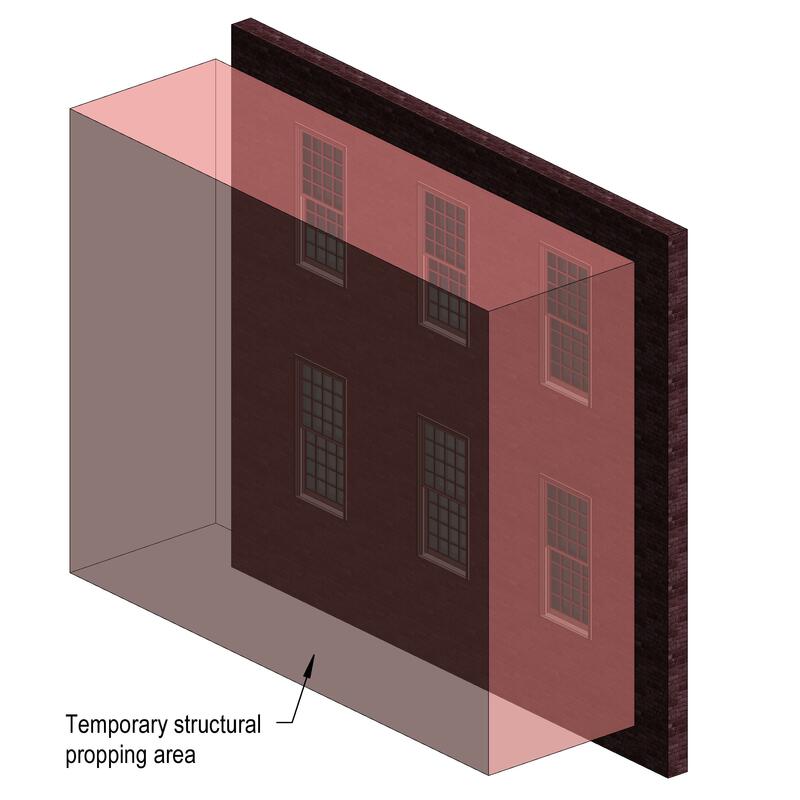 Access to facade - Vertical access The Access to facade - Vertical access of the Framed retention structure systems. Access to facade - Platforms Products such as Timber scaffold boards. Protection Products such as Plastics sheets. System accessories Products such as Scaffolding and accessories.